I hope Santa brought you what you wanted. (or if not that there are post Christmas sales that you took advantage of). I spent the weekend prior to Christmas safely ensconced in the family mountain retreat, and managed to get a few games in. We played a ton of Codenames, and a round of Risk Legacy. Checking the board, it was the first time we played Risk Legacy since 1/1/2017! 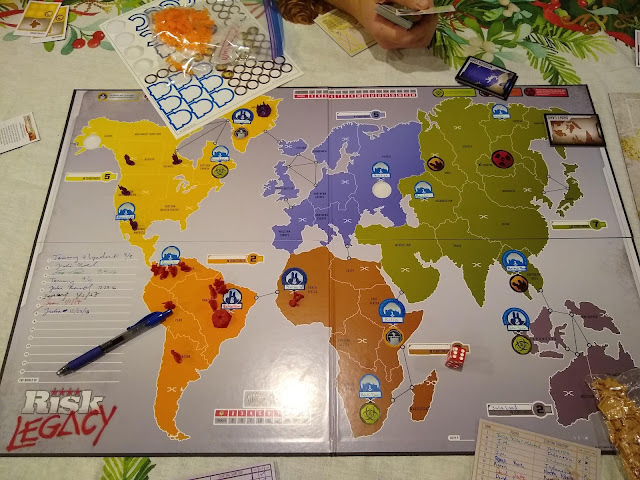 Risk legacy still is not my favorite game, but it is great fun to play with the same people over and over, and see what happens in the game as we unlock or otherwise change things on the board. 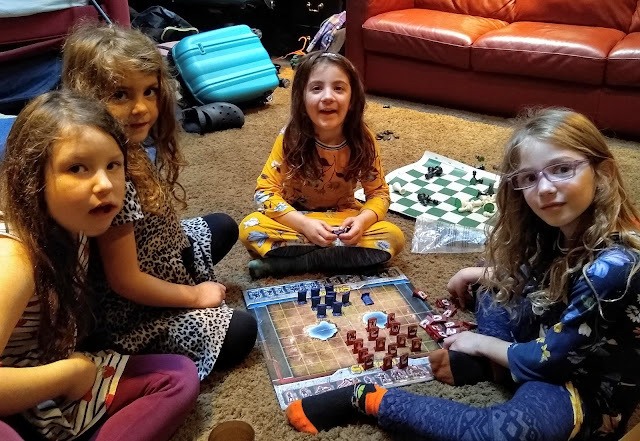 While we were playing other games, the younger girls got their own game of Stragego together. They assured me that they knew what they were doing. I managed to convince my wife that my nephews needed Blitz Bowl for Christmas, and they were more than a little bit excited about it. 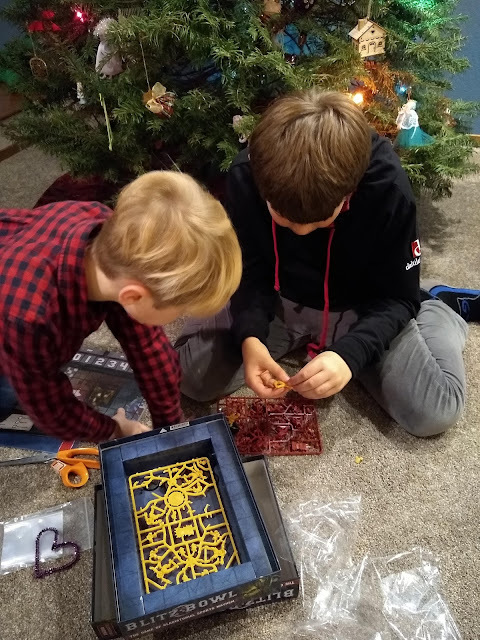 They could not wait to open it, and got it assembled before Christmas Dinner! Three of us assembled figures, and all three were stabbed with the blades and spikes, so working as intended I guess. I tried not to be too much of a stickler for cleaning off the sprues and such, but I may show up with a hobby knife and a file sometime and smooth those figures out! 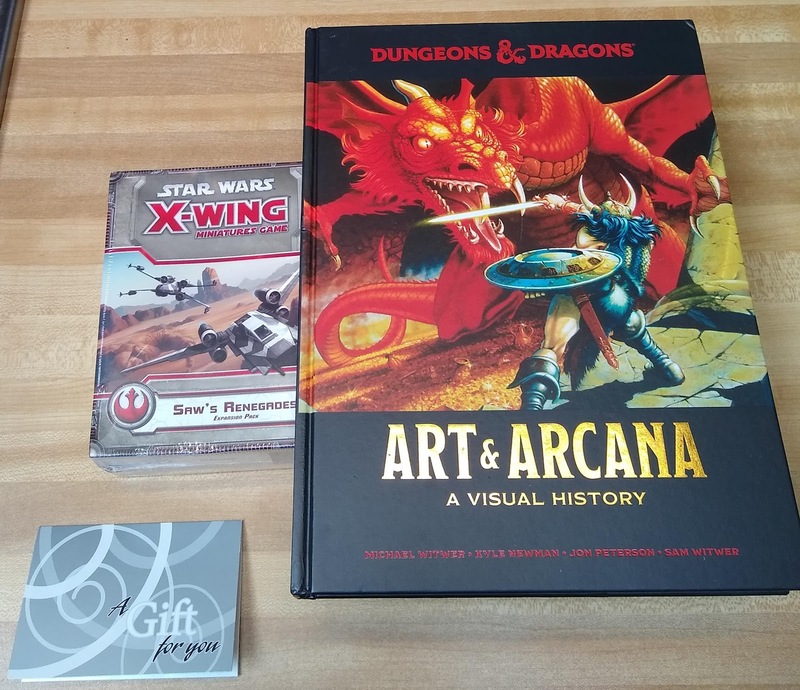 As far as my own loot, I got the D&D Art and Arcana book, a gift card to the FLGS from my mother in law, and Saw's Renegades for X-Wing from my sister. And this little guy was under the tree too! 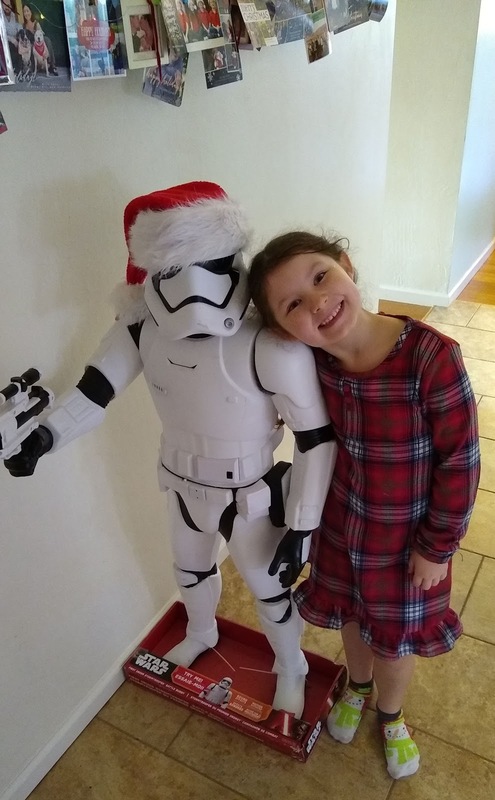 With daughter for scale... Halloween costume for 2019? Anyway, hope you had a great holiday and a Happy New Year.